I'd like to interrupt the last minute holiday shopping and preparations with a quick project! I had just recently viewed the Diane von Furstenberg Pre-Fall 2011 Collection. I loved how retro it is. It's 1970s sportswear at its finest! 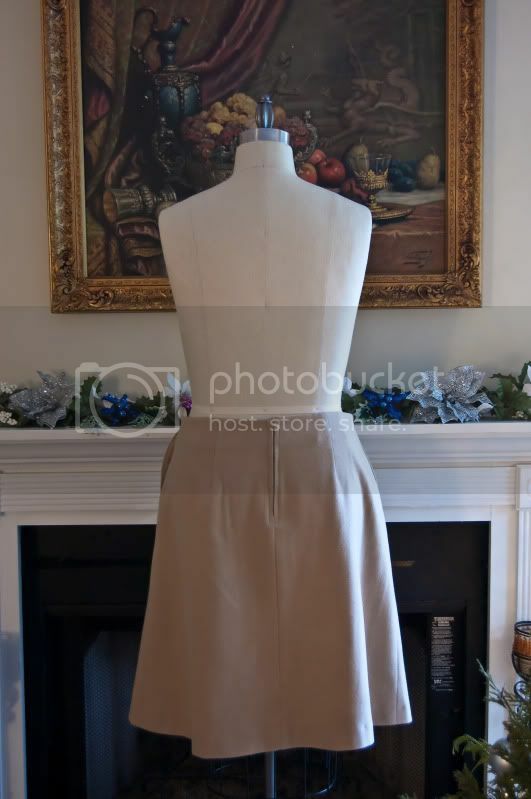 One of the things featured are box-pleat skirts. I've had this pattern in my stash for a few years and decided to make one. Pattern Sizing: 8 - 24, I cut the 16. Description: Above mid-knee or mid-calf, straight or A-line skirt has faced waistline and back zipper. A: center back pleat. B, C: side front pockets and center front pleat. What did you particularly like or dislike about the pattern? I love that it was just what I was looking for! Pattern Alterations or any design changes you made: I cut view C and removed 3" from the hem. This was easier and made more sense than lengthening view B. 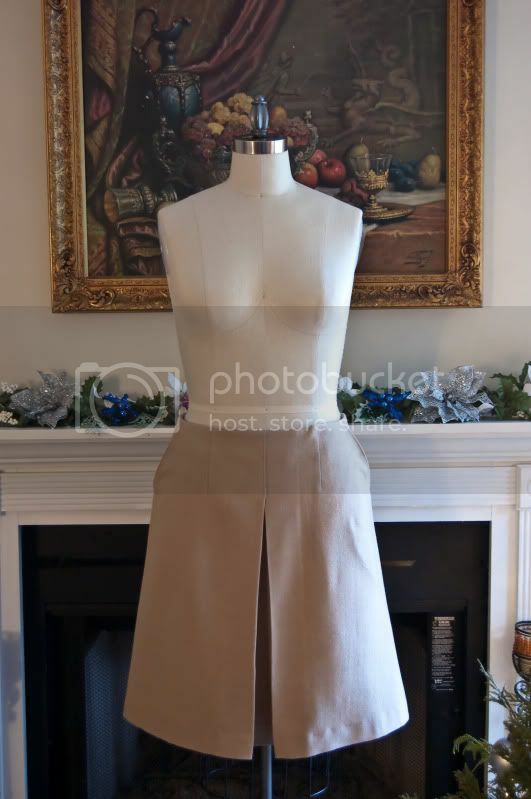 Conclusion: This is a simple skirt that would work in a variety of fabrications. Even though I have a definitive preference for pencil skirts, this is a great addition to my wardrobe.